Here is proof of ownership of the dunkelgelb skin as all snorri's own hard work. We respect you're work ZW and would never take what you have done without seeking permission first. As I am sure you will do us the same courtesy when we release. him do some skins for Project ZeeWolf. Old Zzzz is more of a "snorrer" when it comes to texture map creation. They do apply, if it's a russian tank firing, lol. 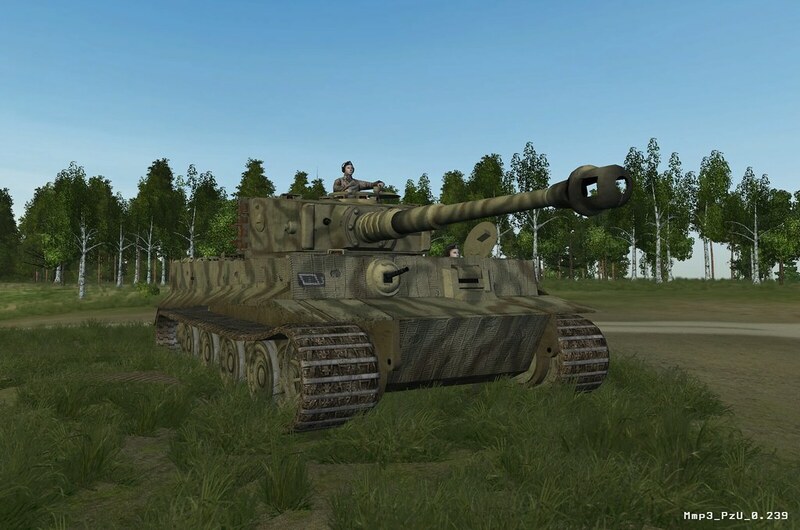 I never realized the 88mm was so much rubbish, I wonder why the Tiger was the most feared tank of the war?! 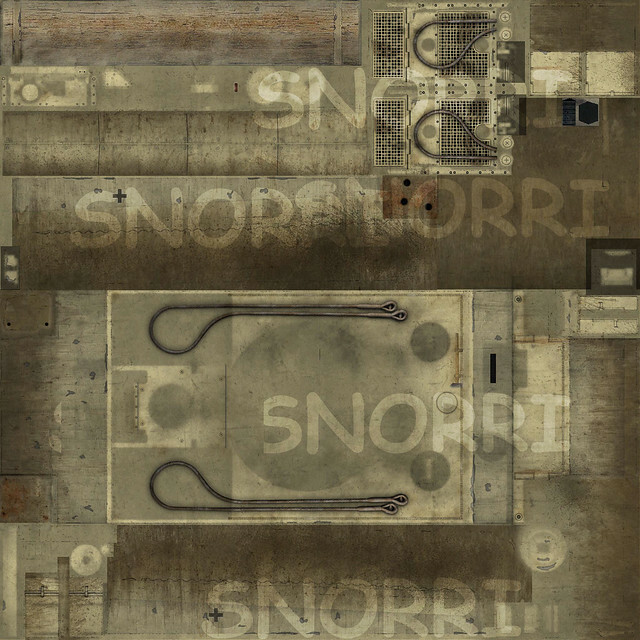 Snorri's re-worked smoke effects and T34 skin. Wow!You guys are defintely making worthwhile changes to the MMP. 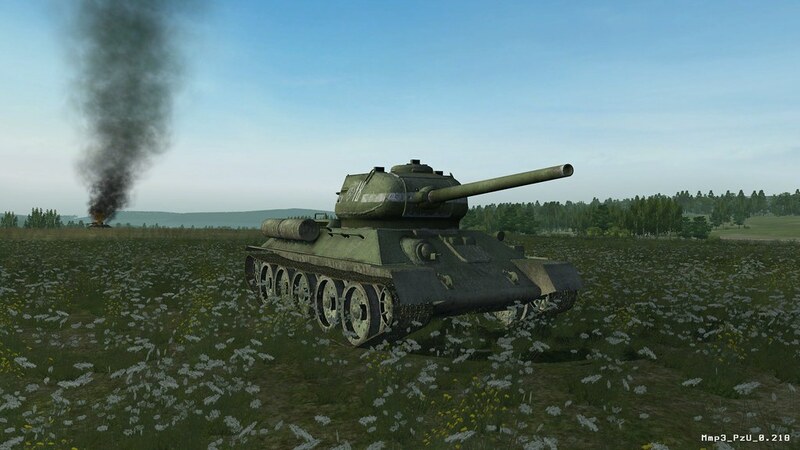 The smoke effect in the stock game are indeed understated.A tank smokes for 5 minutes tops and then no more. Any changes contemplated to the sound of the guns and exposions? Snorri's excellent new SS tank crew. do you guys have a release of the current mod with all these skins and things you have added? We are currently adding in more sounds, a nice, new little sound feature and sorting out a few MP issues that have cropped up this last few days. As soon as we have sorted that problem, we will be looking for people to beta test the new MMP. dont get a lot of gaming time .....but might be able to help out a little bit. Sign me up! I played TvsT for four months straight when it came out... then played around with the scripts for a solid month and finally wore out. To see this amount of work and the claimed FPS improvement (I spent $700 on my computer JUST to improve TvT last year) is very exciting! Please post here when I can download something! And to be sure, if I install the vanilla TvT, is there anything out there I can download and install to help now? Or should I just await this mod? Last night we played for over 2 hours, with 5 - 8 players. Not a single crash and there were many deaths. We are now bundling the current build for release as a beta test, we still have a a few issues which will be detailed in the readme. Please check here for the release info. bound to be a busy couple of days for me. I hope its not a small favor to ask for a PM, in case I miss it.